It looks like the 2019 Formula One Season will hopefully give Daniel Ricciardo some hope! The Formula One 2018 Season for Daniel Ricciardo has been a massive roller coaster for the 29 year-old Australian. Only being able to secure 2 wins at China & Monaco. After the Monaco Grand Prix, his luck has been poured down the drain since. With having 8 DNF's this season alone he has also only being able to reach a maximum of 4th place after the Monaco Grand Prix. It was also announced on the 3rd of August 2018, that he had signed a two-year contract at Renault Sport Formula One Team. With his team mate being Nico Hulkenberg as 2nd Driver for the 2019 Line Up at Renault. The two have been named as "The Honey Badger and The Hulk!" , which is by far one of the best driver nicknames on the grid so far! It has also been revealed that Daniel Riccardo will be bringing "Push, Fire & Motivation" to his new team Renault once his contract at Red Bull finishes in the new year. It's also going to be a massive move for the Australian after being under the Red Bull Racing Junior / Senior Team for 10 years now! Next year looks to be quite interesting after Renault who joined in 2015 after taking over the former Lotus Formula One Team, who is now a Constructors Team. The French team was able to finish fourth in the standings in 2018, though there is still a fair distance between Red Bull, Mercedes & Ferrari. 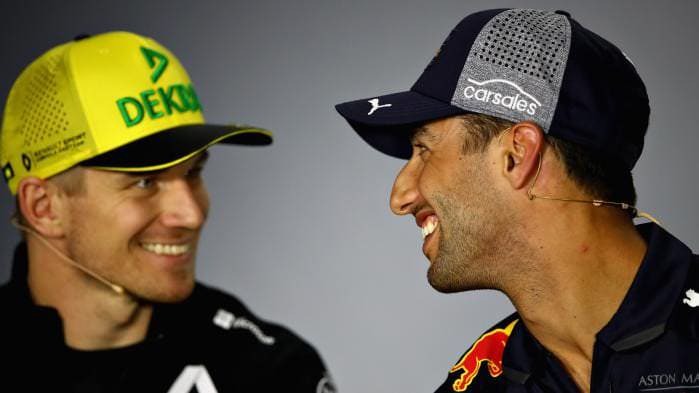 Though it's suspected that Daniel isn't going to be winning any races until 2020 and even considering a championship will have to wait till at least 2021.
do you believe that ricciardo is ought to do better next year? let us know your thoughts and opinions in the comments below!